The section allow define lathe tool adapters and the milling holders. 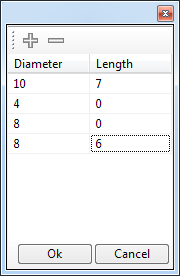 For change items type (<Adapter>, <Holder>) it is necessary use <Group> field. <Holder> – Geometrical holder description. 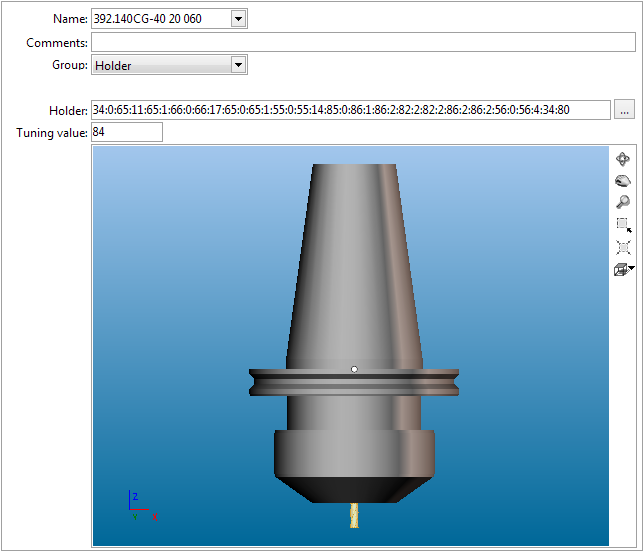 It is necessary use <...> button for the open holder geometrical parameters description window. The parameters is descripted by set of codes and cylinders. At the first is enter diameter elements, at the second its length. 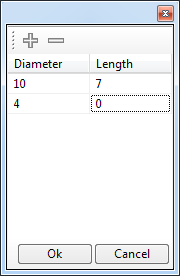 In the graphical view is shown forming holder that allow to control the parameter filling error. The adapters geometry for the operation calculation is not account (except length).